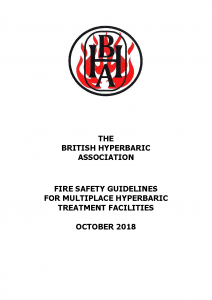 W We have published various guides, codes of practice, forms and other documents of interest to hyperbaric practitioners in the UK. 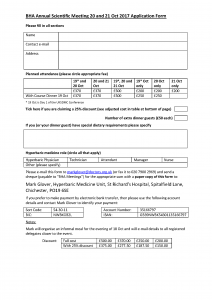 Documents are available as either downloadable PDFs or, where specified, in hard-copy print format. 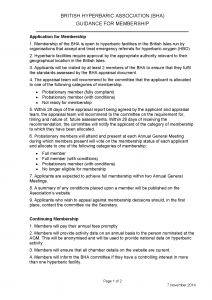 Report of a working party of the British Hyperbaric Association. 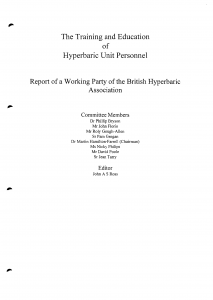 Dr Phillip Bryson, Mr John Florio, Mr Roly Gough-Allen, Sr Pam Grogan, Dr Martin Hamilton-Farrell (Chairman), Ms Nicky Phillips, Dr David Poole, Sr Jean Tarry.Edited by John A S Ross.Published by The British Hyperbaric Association © 1999. A guide to the use of electricity in pressure chambers. 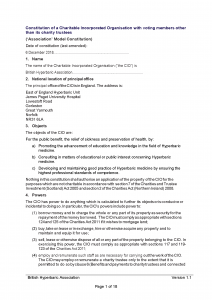 Compiled by: John A S Ross (Univeristy of Aberdeen), Michael Nieman (Aberdeen Royal Hospitals NHS Trust) and John T Florio (Defence Research Agency). 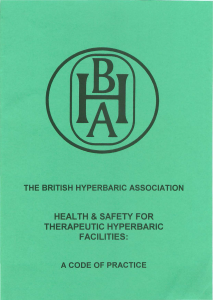 Published by The British Hyperbaric Association © 1996. Compiled by: Dr J Broome, Dr A P Colvin, Mrs J A Welham, Dr S Watt, Mr R Gough-Allen, Mr D Alcock, Mr P Londsdale, Dr P James and Mr S Munro. 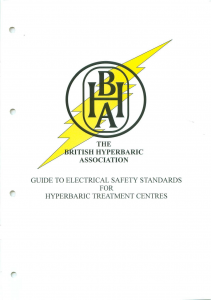 Published by The British Hyperbaric Association © 2000. 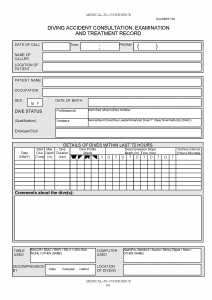 Form for recording details of consultation, examination and/or treatment in the event of a diving accident.